In this episode we present Mare Wakefield and Nomad Ovunc from Nashville, Tennessee. Their style of music can best be described as “americana”, with elements of roots, country, bluegrass and folk that reflects their life experiences or current geopolitical and social issues. While that may sound a little heavy you’ll enjoy the sharp lyrics and great instrumentation in their music. Mare is on guitar and lead vocals and Nomad plays keyboard, accordion, melodica, and backup vocals. 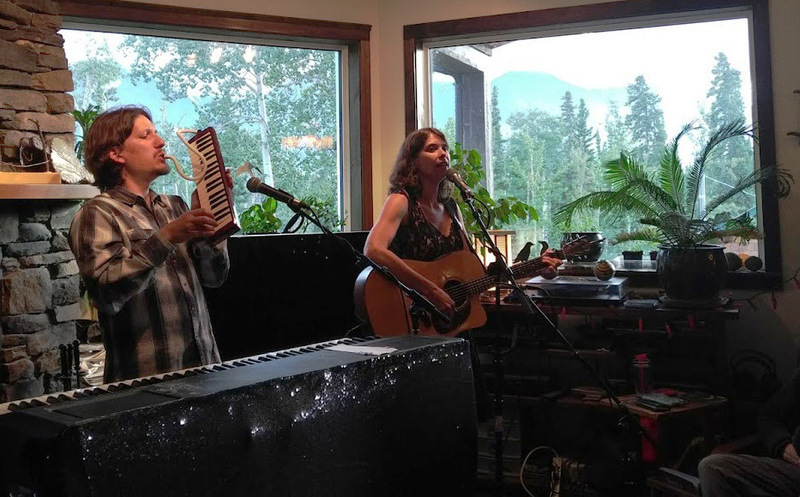 We recorded their performance at the home of Elsabe Kloppers, in Haines Junction, Yukon, in July 2018. Elsabe, is also a fine violinist and she is joining the duo for the last two songs.